Celebration of Ullambana : August 25. (Saturday) 8:30 am. 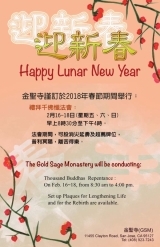 From 8:15 am to 4 pm at Gold Sage Monastery. 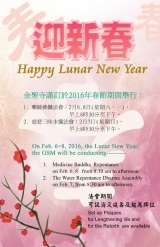 Set up Plaques for Lengthening Life and for the Rebirth are available. GMM and GSM will hold the Cherishing Youth Day on April 15, 2018 from 8:30 am to 2 pm at Gold Sage Monastery. 4. March 18. will be Recitation of the Sutra on the morning. 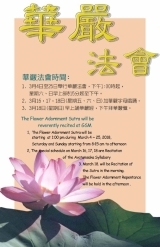 The Flower Adornment Repentance will be hold in the afternoon . 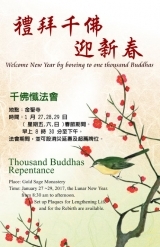 Setting up Plaques for Lengthening Life and for the Rebirth is available. 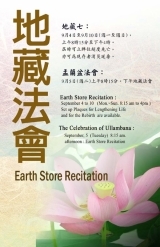 September 4 to 10 , 8:15 am to 4 pm at Gold Sage Monastery. Ullambana on September, 5 ( Tuesday) , 8:15 am. Celebration of Ullambana will be held on August, 17 ( Wednesday) , 8:15 am. A classical education for a contemporary world.